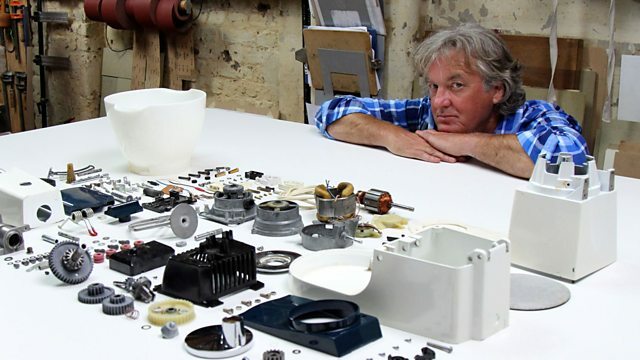 James May puts objects back together again from a pile of their component parts. He reassembles the 135 parts that make up a 1960s Kenwood Chef a701a food mixer. On James's journey to reassembling the food mixer he comes face to face with some mind-boggling components that will all come together to work in unison in the hope of making a chocolate cake mix. From reassembling the planetary gear system and the AC electric motor James muses on the imperial measurement system and shows off his trendy new magnification head gear as he attempts some dreaded soldering.